The Madison Collection features a stunning modular sectional, loveseats, and armless, wedge, corner and club chairs. Complete with Sunbrella cushions, this maintenance-free outdoor sectional will be the best part of your backyard. 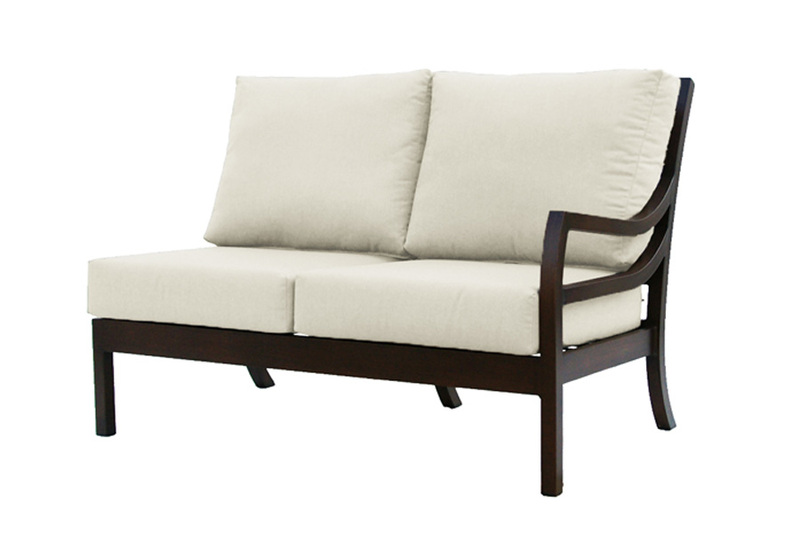 Made proudly by Ratana Home, this outdoor sectional is built to last. 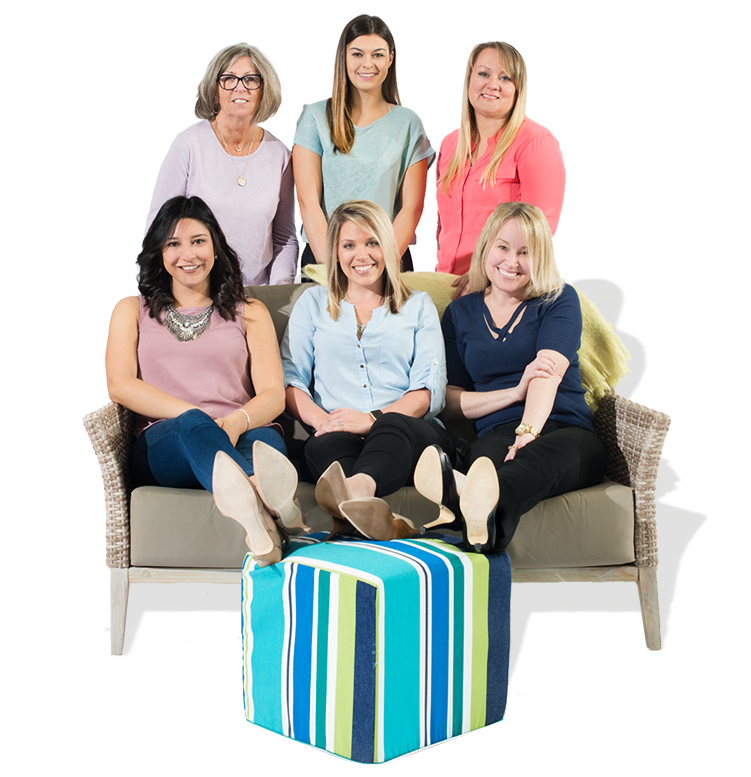 Ratana Home is known for their quality workmanship, dedication to customer service and unique designs. Build this modular sectional to fit your space and you'll never want to come inside! 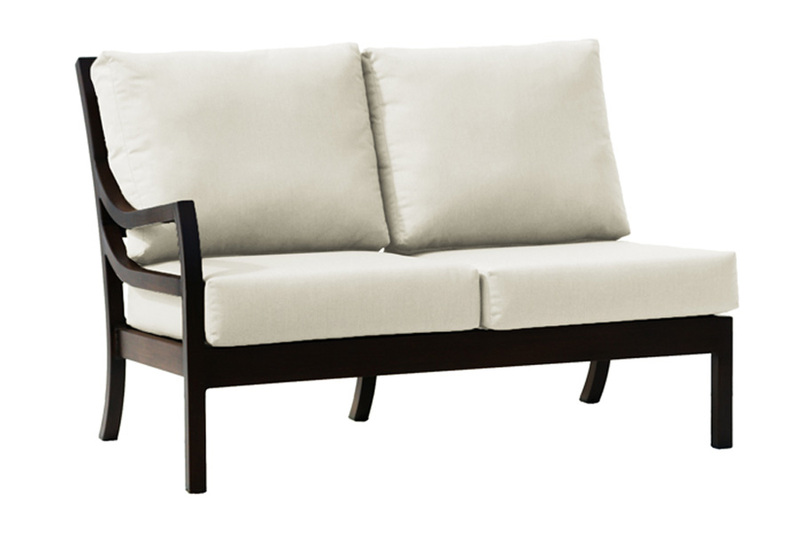 2 Seat Left Arm Section: 51.5"x29.5"x36"
2 Seat Right Arm Section: 51.5"x29.5"x36"
The Madison Two Arm Seat is an essential component to your desired sectional. 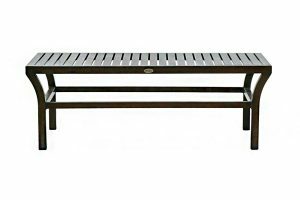 Square off your entertainment space with a seating area that is so comfortable you’ll sink right in! Open-cell, Sunbrella cushions included in the Madison Collection are backed by a 5 year warranty. 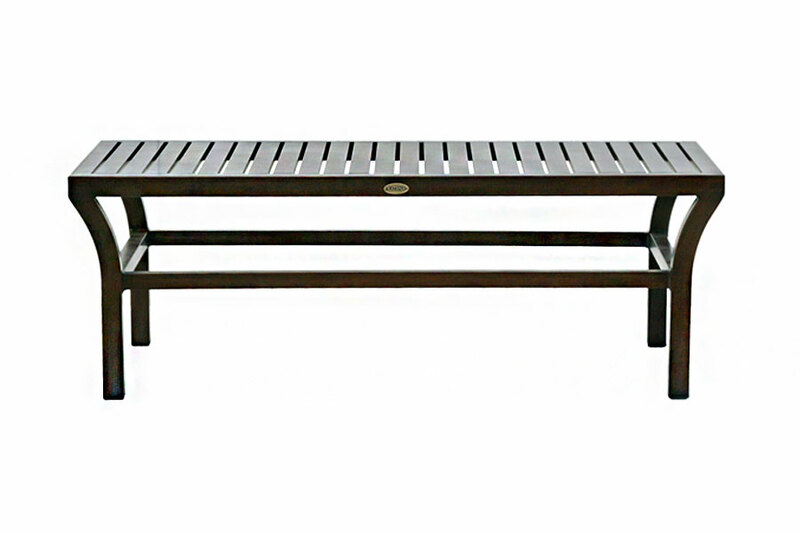 The Madison Rectangle Coffee Table is made of quality, rust-free aluminum and hand painted to perfection. Featuring a slatted tabletop and a pecan colour finish, the shade and style works perfectly to tie together the Madison Collection together. 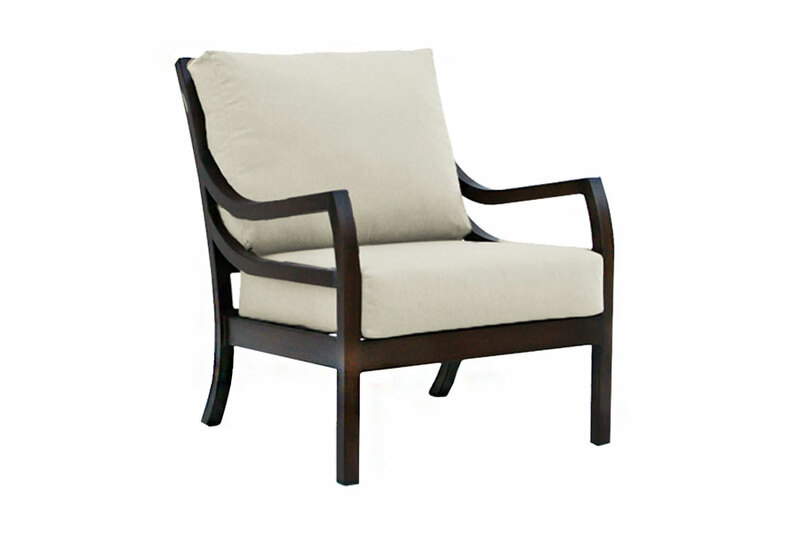 The Madison Chaise Lounge is equipped with everything you would want for comfort and product quality. 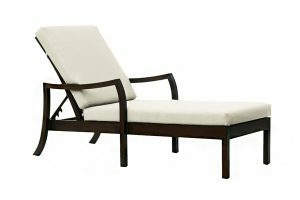 Manufactured of rust-free aluminum and a completely adjustable back, this chaise also includes a thick, low-maintenance Sunbrella cushion for ultimate support. 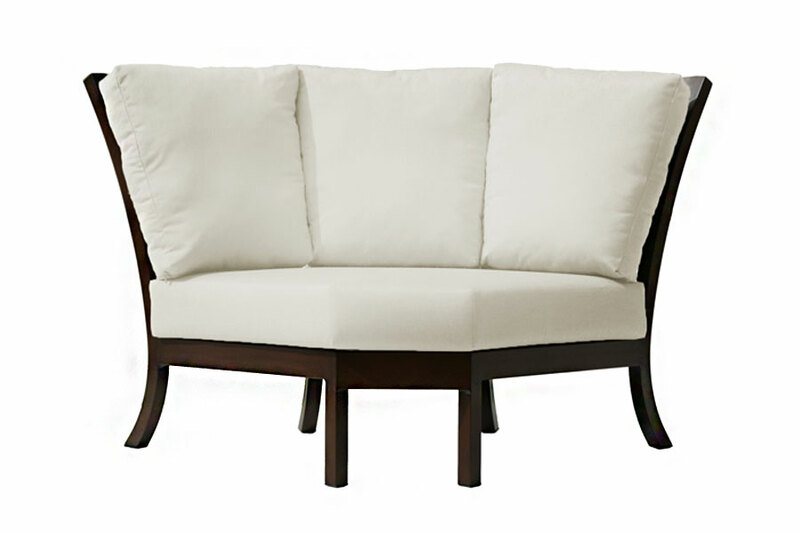 The Madison Curved Corner Section is an improved version of the typical 90-degree sectional corner. The use of a curved piece allows the corner to actually be used as a seat, rather than being a counterproductive piece. Sunbrella Cushions Included. Showcase the ultimate captain chair in your backyard with the Madison Lounge Chair. 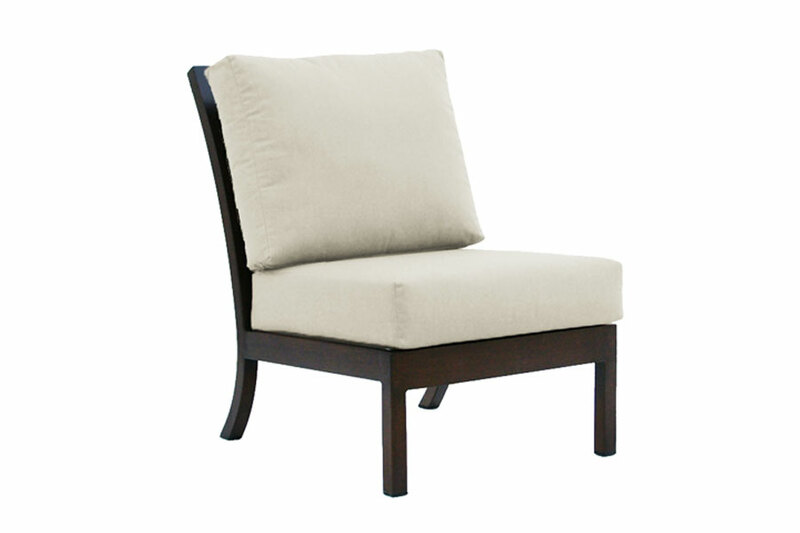 High back, sleek arms, and thick Sunbrella cushions, this seat will be both the envy and delight of your guests! A great piece as an addition to the Madison Sectional for extra seating. 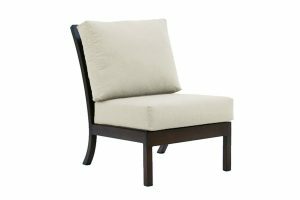 The Madison Sunbrella Ottoman is an elegant, aluminum framed piece with the same Sunbrella cushion as the Deep Seating Collection. 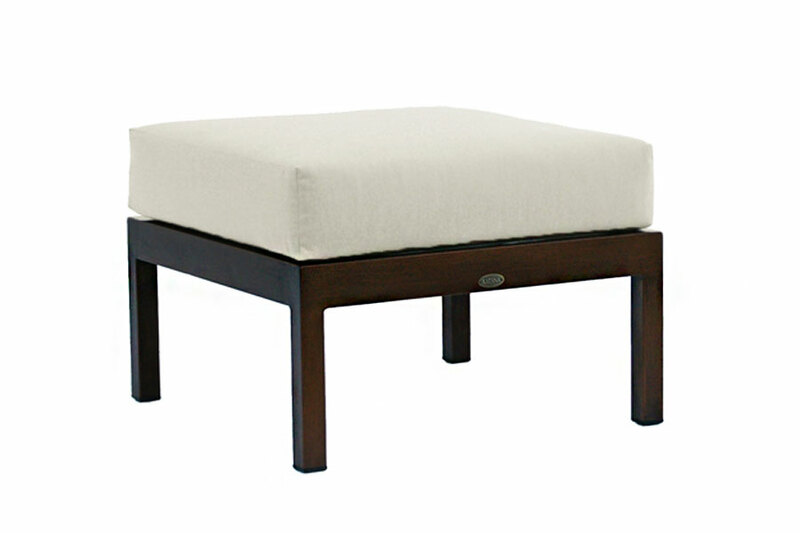 An Ottoman is great for resting your feet after a long day, or dressing it up with a tray and some accents to use as a modern Coffee Table style. The Madison Two- Seat Left Arm Section is truly one-of-a-kind. The combination of the pecan, aluminum frame with high back Sunbrella cushions makes this set completely unique. Pair it with additional sectional pieces to create the seating area of your dreams.